Japan’s Demographic Problems: Can Robots Fix Them? Shortly after World War 2 ended, Japan went through an economic boom phase which lasted almost half a century. This multi-generational age of prosperity stopped abruptly in the early 1990s. You might as well call the 1990s “the good old days” though, because Japan’s economic issues have not truly been solved since then. The “Land of the Rising Sun” and its longstanding issues are getting much worse, in fact. Sure, Japan’s GDP rose by 7.1% in 1988 and didn’t even achieve half that rate during any of the next twenty years. Yet the nation just recently began dealing with arguably its biggest problem in modern history: rapid population decline. Japan is always prepared to tackle a major challenge. They rose from the ashes of humanity’s most devastating war to become the world’s second largest economy. At least for around 30 years until China surpassed them. But will the nation’s planning, effort, and execution be enough this time? Let’s find out if Japan is ready for its hardest test ever. Japan is facing a severe demographic crisis unlike any other. For starters, the country’s median age of 47.3 is older than anywhere else on the entire planet. Compare this to 37.4 years old in China, 40.8 in South Korea, or 23.5 in a frontier market such as the Philippines. That’s clearly horrible for Japan’s future economy. Not only does it equal greater dependence on welfare as more tax money goes towards retirement benefits. It also means a severe labor shortage as uneducated workers start disappearing. 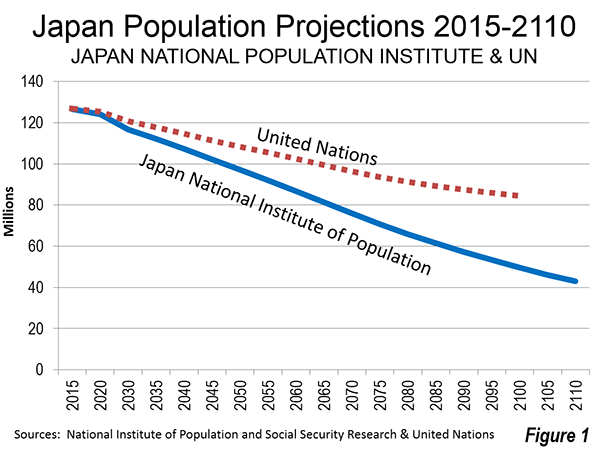 A chart showing Japan’s expected population decline until the year 2100. The 22nd century might be a long time from now. Nonetheless, it shows the uphill battle Japan must face. Of course, less people will negatively affect countless other sectors in Japan. Property markets all across the country are suffering from a lack of buyer demand already, for example. Housing oversupply is only impacting smaller cities at the moment. But as Japan’s population shrinks below 100 million later this century, even Tokyo’s real estate market will suffer from a property glut. Japan’s demographic problems must be solved. Otherwise, the nation’s economy and global influence will fall into a terminal decline. In 2018, Japan finally overhauled its immigration laws. The new regulations mostly target blue-collar laborers and specific groups of qualified foreign experts, making it way easier for them to obtain a work permit and live in Japan long-term. Yet these are just temporary measures aimed at fixing a near-term labor shortage. A majority of new foreign residents in Japan are unskilled and working in places like storefronts, factories, and restaurants. Furthermore, almost none of these foreign employees will ever obtain Japanese citizenship or a right to permanent residence. The goal is simply for them to live in Japan until society figures out another solution. The final answer, according to most experts on the topic, is automation. It’s already happening in Japan moreso than practically anywhere else with the nation’s ubiquitous vending machines and waiter-less restaurants. 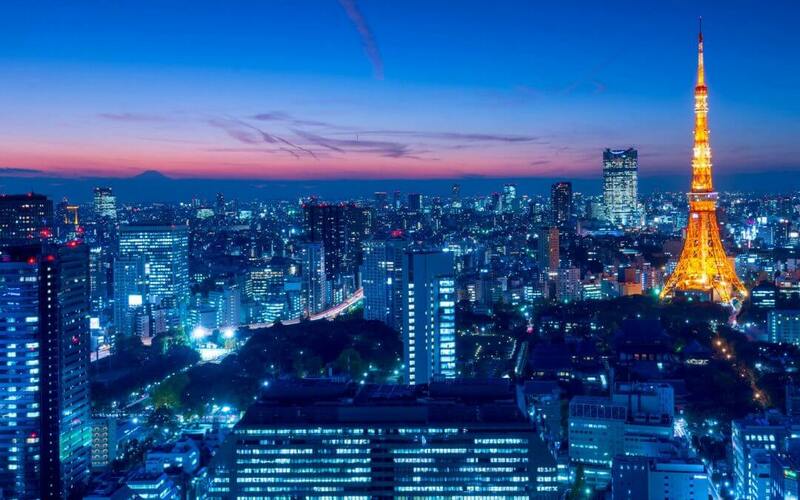 Both Japan’s public and private sectors are now working toward a technological utopia. They’re envisioning a future where population decline becomes irrelevant after robots and automated factories take over all menial tasks. Japanese citizens can focus on education, family life, arts, or really anything they want. Exports will not only continue as a major industry, but will thrive because of the increased efficiency of automated production and supply chains. Universal basic income would probably be implemented and “trickle down” in such a utopia as large amounts of profit are gained from greater efficiency and saved on labor costs. Japanese corporations and people alike could reap the rewards of a robotic society. Will Robots Help Japan’s Demographic Problems? Here’s the question: will Japan’s mix between automation and immigration help the country at all? Is its technological utopia realistic in practice, or just a pipe dream? I strongly believe that Japan’s measures toward fixing its demographic trends are too little, too late. First off, automation itself will bring lots of challenges. Robots taking over millions of jobs could possibly result in mass unemployment despite Japan’s falling population. The exact degree of such problems will depend on how many jobs are replaced by automation compared to the pace of Japanese population decline. However, the general consensus is that automation will happen quickly in relation to the slow, multi-decade process of an aging population. Second, Japan’s labor shortage is not the source of its economic problems. They’re merely an additional factor on top of existing issues that arose decades ago. Remember that Japan’s economy crashed thirty years ago in the late 1980s while population decline only started in 2010. The nation still must deal with its rising debt levels, lack of business competitiveness, extreme levels of bureaucracy, and other things that push away foreign investors. There’s no doubt that Japan is among the most technologically adept countries in the world. Sadly, it seems even robots might not be enough to save them from a population that will be cut in half over the next 80 years. You should consider Japan’s potentially irreversible long-term issues if you’re thinking about buying real estate or stocks in the country.